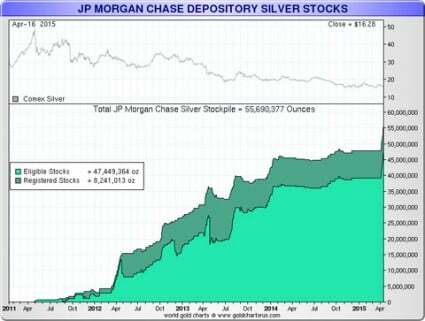 Why in the world has JP Morgan accumulated more than 55 millionounces of physical silver? 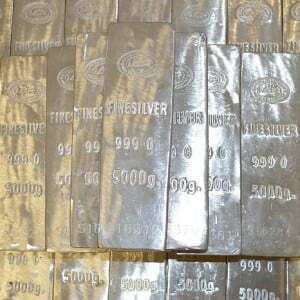 Since early 2012, JP Morgan’s stockpile has grown from less than 5 millionounces of physical silver to more than 55 million ounces of physical silver. Clearly, someone over at JP Morgan is convinced that physical silver is a great investment. But in recent times, the price of silver has actually fallen quite a bit. As I write this, it is sitting at the ridiculously low price of $15.66 an ounce. So up to this point, JP Morgan’s investment in silver has definitely not paid off. 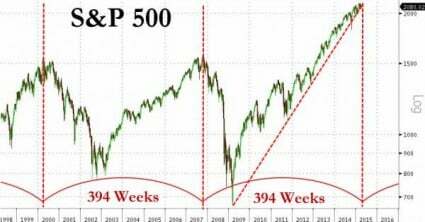 But it will pay off in a big way if we will soon be entering a time of great financial turmoil.